Weather forecasting is a vitally important service, impacting everything from agriculture, transportation, and disaster preparedness and responses, to the daily lives of individuals. A lack of preparedness for weather events and inaccuracy of forecasts can translate into economic and human losses, such as crops spoiled by extreme weather, airline delays caused by storms, coastal properties flooded by torrential rains, disaster victims left without aid, and mistakes in coastal evacuation plans for approaching hurricanes. Because the weather satellites responsible for collecting the data used to make forecasts and warnings are expensive to build, maintain, and update, the accuracy and timeliness of these valuable weather forecasts may be limited. 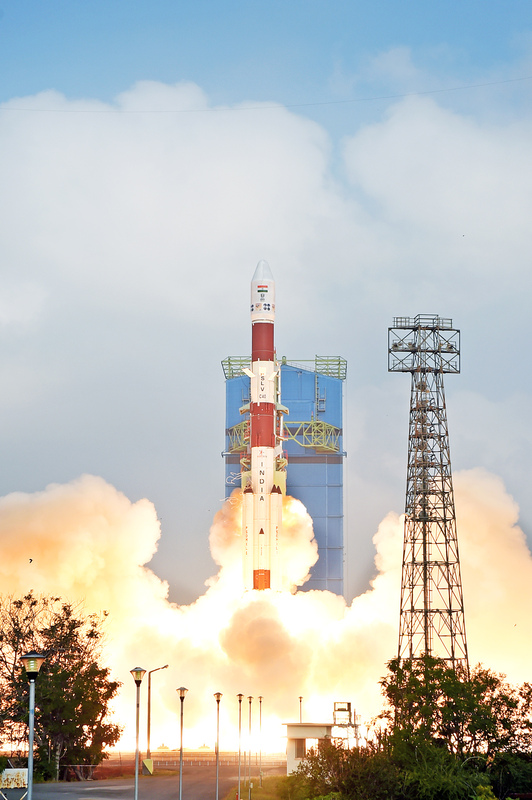 Small, low-cost satellites can be built and launched in large numbers for the same cost as a small number of traditional weather satellites. These small satellites can be operated in constellations to provide frequent coverage of rapidly developing weather events. More frequent observations have been shown to significantly improve the accuracy of weather forecasts and severe storm warnings. Lincoln Laboratory’s Micro-sized Microwave Atmospheric Satellite (MicroMAS) CubeSats can offer the same performance as legacy weather satellites, but they are 50 times smaller, significantly cheaper, and faster to develop and launch than the traditional large satellites. The most recent iteration of this technology, the MicroMAS-2A CubeSat, launched on 12 January, demonstrated in April the first-ever microwave sounding data from a CubeSat — measuring temperature, water vapor, cloud parameters, and precipitation. According to William Blackwell, associate leader of the Applied Space Systems Group and lead investigator of MicroMAS, the Laboratory has been working on this technology for more than a decade, starting as a collaboration with Beaver Works, a joint partnership between the MIT School of Engineering and Lincoln Laboratory, and Professor Kerri Cahoy of the MIT Aeronautics and Astronautics Department. Previous versions of this technology have already been launched: MicroMAS-1 in 2014 and MiRaTA in 2017. To get the high-quality data necessary for accurate forecasting, the MicroMAS-2A CubeSat had to meet the very low size, weight, and power (SWaP) requirements of a 3U (10 cm × 10 cm × 34 cm) CubeSat form factor. The final design is made up of a 1U radiometer payload, a ½U scanner, and a 1½U spacecraft bus. The payload’s microwave electronics and readout circuitry, developed in collaboration with Professor Neal Erickson of the University of Massachusetts Amherst, were also miniaturized to fit within the SWaP goals. Additionally, “the miniature scanner was incorporated into the dual-spinning spacecraft attitude control in order to geolocate measurements to the appropriate latitude and longitude above Earth’s surface,” Cousins said. This design produces a high-resolution image of the temperature of Earth’s atmosphere and surface in three dimensions — latitude, longitude, and altitude. This image shows a comparison of data from MicroMAS-2A (left) and from the Advanced Technology Microwave Sounder (right) weather satellite. Spatial features of the images, including the precise location of the land-sea boundary, are in good agreement. MicroMAS CubeSats have a shorter lifespan than that of the current, large weather satellites. However, their small size means that they can be a secondary payload on a vast number of commercial and government launches, and their lower cost to build means they can be replaced more frequently than large satellites. These size and cost factors will allow the MicroMAS technology to be continually refreshed, leveraging improvements to instrumentation and spacecraft design and improving architectural resiliency. By contrast, large satellites can take decades to develop and deploy. The illustration shows MicroMAS with its solar panels extended. Laboratory staff finished ground testing the MicroMAS-2B CubeSat in May, and it is scheduled to launch in October 2018 on the Virgin Orbit Launcher One, a launcher designed specifically for the CubeSat market. The MicroMAS technology is slated to be used in several projects, including TROPICS — a NASA-funded constellation of CubeSats similar to MicroMAS, which will collect data to improve scientific understanding of severe weather such as hurricanes and tropical storms. Additionally, the National Oceanic and Atmospheric Administration is considering working with the Earth Observing Nanosatellite— a spacecraft that utilizes MicroMAS technology — to develop miniature microwave sounding technology in its operational weather satellite enterprise.